If you own a business in Rhode Island, we probably don't have to tell you what a disaster it can be when cockroaches invade, especially if you operate a business that grows, stores, transports, sells, or prepares food. But cockroaches can make trouble for a wide range of businesses, many of which don't even realize how much of an impact these insects can have. No matter what type of business you own or manage in Rhode Island, the following should help put this pest problem into proper perspective. Businesses that deal with food products understand that cockroaches can spread at least 33 kinds of bacteria, such Salmonella and E. coli, as well as six kinds of parasitic worms. But even if your business does not prepare food for customers, there is a good chance that you have food somewhere. Most businesses have a break room or rest area for employees. These have a mini fridge, a vending machine, and sometimes stored food in cabinets and closets. Cockroaches love getting into appliances. These insects love to squeeze into places that are hard against their back and their belly at the same time. So it is not uncommon to find them in vending machines, or even refrigerators. If you have cockroaches, it is likely that illness will increase, and employee absenteeism will rise with it. If you have no food in your business, you can still become ill from a cockroach infestation. These pests gravitate to dirty, bacteria-rich environments like dumpsters, composts, trash piles, and sewers, and when they crawl on desks, counters, and other surfaces inside your business, they can spread the harmful bacteria they've picked up. Cockroaches also spread allergens. When their saliva, feces, and shed body parts are left in ventilation ducts, they become airborne and lead to an increase in allergy and asthma symptoms. In this age of technology, where a review can hurt your business, a cockroach sighting is the last thing you need. We probably don't have to tell you that. What you may not know is that cockroaches don't just influence your customer's buying decisions, they can cause employee morale to go down. When your employees are unhappy, it affects your bottom line. No business benefits from having cockroaches. So, what do you do about it? The solution is a commercial pest control plan. Cockroaches are extraordinarily difficult to keep out. They can crawl across many surfaces, even ceilings, in search of entry points. They can compact their bodies to slip through tight gaps or underneath doors. And some cockroaches are even able to fly. The only way to exclude and control them is through the implementation of modern pest control methods--methods that are designed to adhere to all governmental regulations and restrictions. At Big Blue Bug Solutions, we know that each business has its own unique vulnerabilities. That is why we tailor our pest control plans to our customers' needs. A pest control plan for a distribution center is going to look a lot different than one designed to protect an educational facility, and a plan that works in the healthcare industry is going to fall short for a food processing plant. But, no matter what type of business we service, there are some things that do not change. You can always expect fast, reliable, and accurate service. You can expect technologies like Bar Code Monitoring Systems that are in compliance with the USDA, FDA, and AIB regulatory standards. And you can expect reports to be up to date and available to you. Cockroaches are only one of the many bugs and wild animals that can negatively impact your business. When you make up your mind to keep cockroaches out, we can help you keep all of those other unwanted pests out as well. 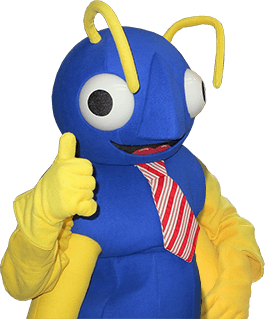 Big Blue Bug Solutions has been protecting New England business for over 75 years. We have the experience and education to make sure you get a pest control plan you can trust--a pest control plan that will help you protect your brand, your reputation, and your bottom line. For more information, or to discuss service, reach out to us today.